Macau has played a unique and influential role in the relations of China and the West, particularly during the late 16th until the 19th Century. Macau used to be a colony of Portugal, thus the European nation’s heavy influence on the city’s culture. One particular aspect where the Portuguese had influenced the city is in gambling. Today, the city has legalized casinos and gambling in Macau. In fact, Macau has already surpassed Las Vegas, Nevada as the premium gambling destination in the world. In the 21st Century, Macau stands as the only region where gambling is legal. When the city reverted to the control of the Chinese in 1999, the Chinese government decided to open up the gambling industry to outside operators. This then effectively ended the legendary Stanley Ho’s 40-year monopoly of the gambling industry in Macau. Macau is divided into cities where 2 of them remain as casino cities. To date, there are more than 33 legal casinos and gambling faculties available in Macau that range from hotel casinos to greyhound racing. The strip of casinos in Macau is popularly known as the Cotai Strip while the most famous game is Baccarat. Aside from dozens of casinos in Macau, there are pari-mutuel facilities also available in the city. Horse and dog racing tracks remain a more popular form of gambling for local residents of Macau. The Sands Macau was the first US-owned casino in Macau that was opened in 2004. Operated by Steve Wynn, the Sands had recouped its capital within its first year of operations, proving the incredible opportunity that the gambling industry in Macau can provide. 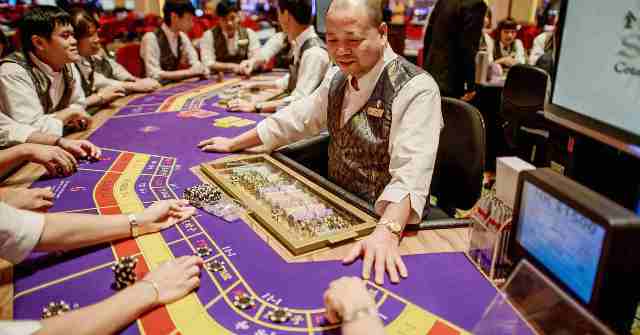 Not long after, another Western-style casino opened in Macau which is the Wynn Macau that also proved to bring significant numbers to the gambling industry. Today, the Venetian Macau is the largest casino in the world. Some of the most popular casino gambling spots in Macau include the Grand Lisboa, the Galaxy Rio, the Sands Casino and the Venetian. With Macau already surpassing its American counterpart, Las Vegas, the city is filled with familiar bright signs, exciting nightlife, packed casinos and stirring bars making it one of the world’s largest parties held daily. But for people who have visited both Las Vegas and Macau, gambling in both cities has huge differences. Las Vegas has slot machines everywhere from its gas stations, convenience stores and airport. Hotel casinos are usually combined where gamblers can easily head on to the next room for another round of playing. This is not the same case in Macau as the city has very strict rules and regulations when it comes to gambling in Macau. Casinos, shops and hotels in Macau are all separated from each other with distinct buildings and distinct entrances for each type of activity. This means that one cannot simply walk from the hotel lobby straight to the casino floor. This then puts a significant amount of regulation when it comes to gambling in Macau. Some say that Las Vegas remains more family oriented while Macau seems to attract the extreme high rollers of the world. Las Vegas gamblers play to be entertained while Macau gamblers play to challenge their destinies. Macau has then become the place for serious gamblers. Ultimately, however, whether gambling in Las Vegas or gambling in Macau, there is not too much difference between the two where more dedicated gamblers are concerned, as none of the chief differences listed here affect the game. The wheel still spins the same for all players.